Understand child themes and/or how to update the CSS of your WordPress theme using a custom CSS plugin. Learn more about custom CSS plugins. 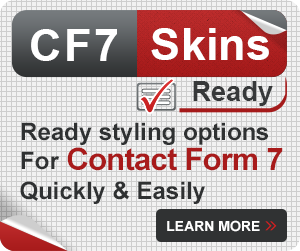 Tip: If you are looking to make only minor changes to your CF7 Skins – Contact Form 7 form, and have only limited HTML & CSS skills, you might find Using a Custom CSS plugin to modify a CF7 Skins Style easier to follow and more suited to your current skill level. 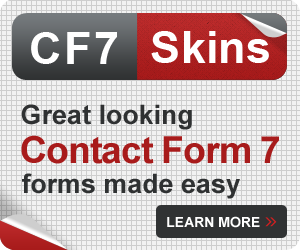 CF7 Skins makes it easy for you to generate beautifully styled Contact Form 7 forms for your WordPress website. Although it’s easy to apply an entirely new style to your form with CF7 Skins, there might be parts of the style you want to change. This article will show you how you can tweak a few different parts of a CF7 Skins style. 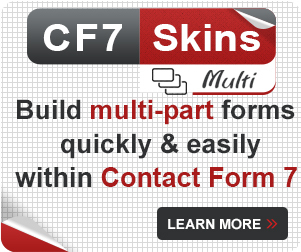 Before you go through the examples, make sure that you have already selected a CF7 Skins Template and Style that is close to what you want. Implement those changes in your child theme or using a custom CSS plugin. Note: Without a CF7 Skins style, your form will apply the styling of your WordPress theme (if the author of the theme wrote styles for forms). Tip: Take some time to familiarize yourself with the classes, ids, and HTML using Firebug or Chrome Developer Tools on the above form before continuing. 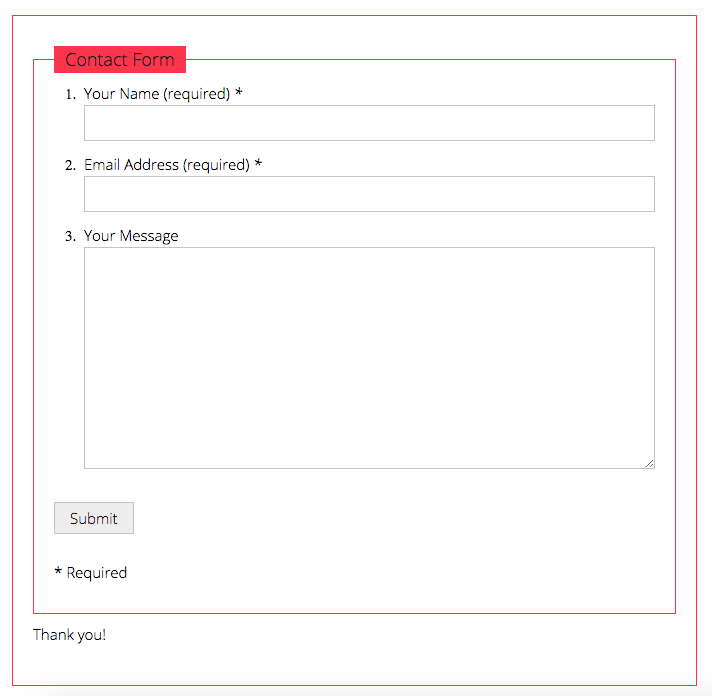 Taking the Contact form from above, let’s change the outside border, inside border, and the color in the box around the word Contact. Ensure you know the hex codes for the the colors you want to use. In this example, we will be using #fc354c. Tip: Code added in the child theme or custom CSS plugin will normally take precedence over the CSS added by the CF7 Skins plugin. To finish the changes by changing the color around the word Contact, inspect the title and look at the CSS. 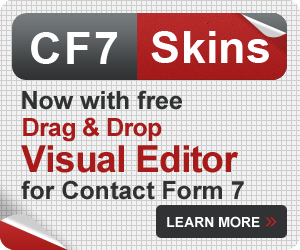 In CF7 Skins, changing the submit button text is easy in the Form editing section. A very popular question is how to change the submit button color, as well as the color when you move your mouse (hovers over) the button. That’s it! Your button will now have different colors when standing alone and when a mouse is hovered over it. Fonts can be problematic because different browsers (Firefox, Chrome, Internet Explorer) recognize some fonts but not others. WordPress has a great article about Playing with Fonts that you should review before attempting to change your fonts. Depending on your theme, most forms will have the same font as your posts. This often means you will need to add a specific font-family to a specific class in your child theme. 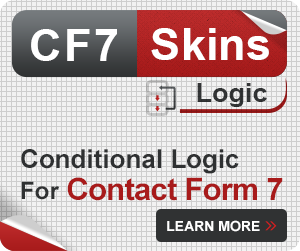 To change the font of your entire form, you want to target .wpcf7 .cf7s-caspar. When you have saved this change in your child theme, your CF7 Skins form will have your new font. Implement those changes in your child theme or custom CSS plugin.